Apps in your email? 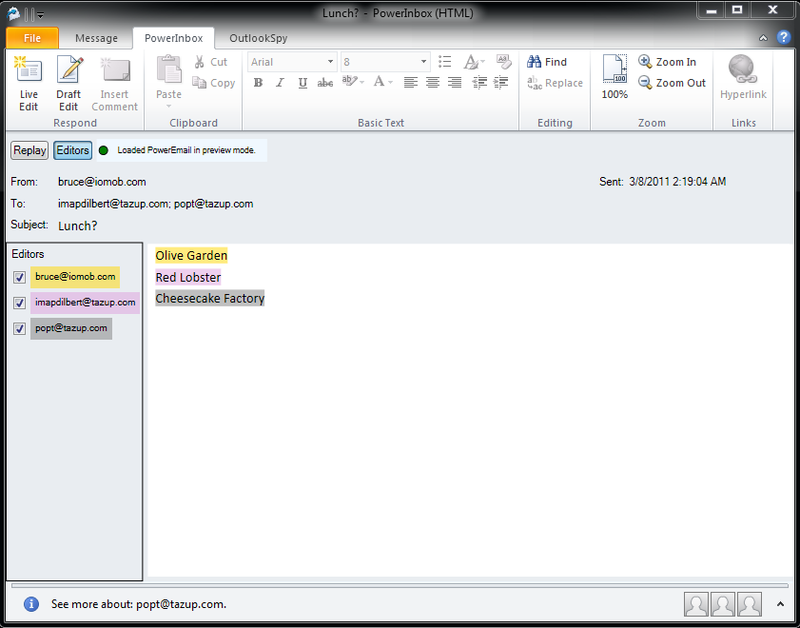 PowerInbox reinvents what email can be. I spend the vast majority of my day dealing with email. While that’s both a blessing and a curse, what I’ve found is that things that can add context and ability to my email are really important to me. Rapportive, for instance, is one of those apps that I can’t live without. But what about the rest of the Internet? 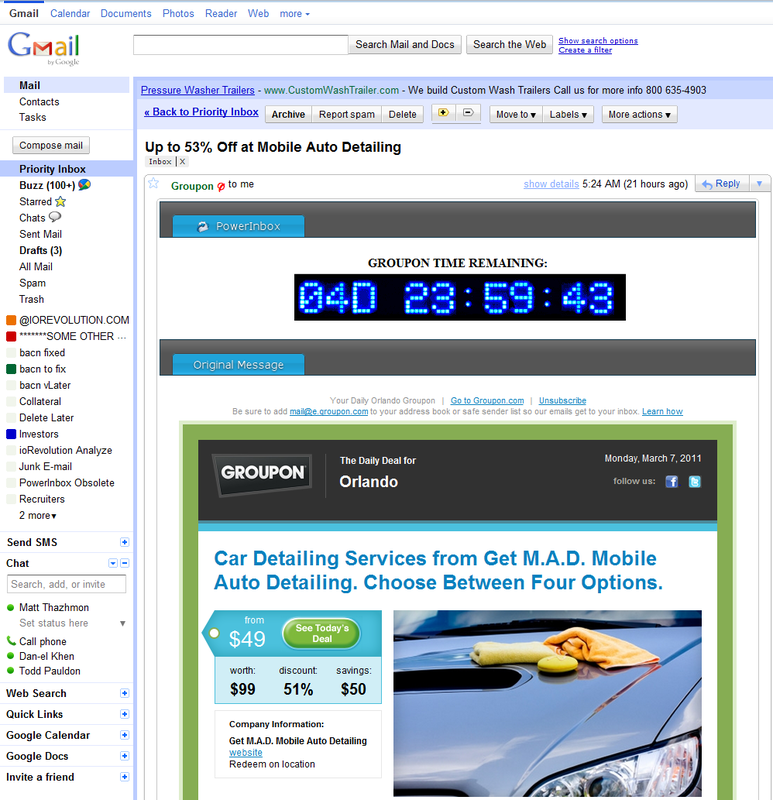 Your email inbox should be able to do much more than just allow you to read messages. 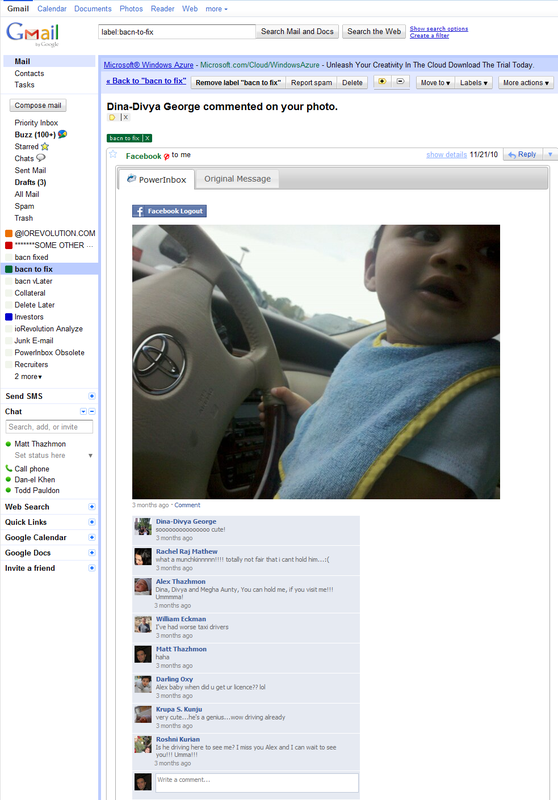 It’s with that though in mind that Matt Thazhmon and the team built PowerInbox. PowerInbox is an extension that will turn your email into a viable application platform, upon which other applications can be built. 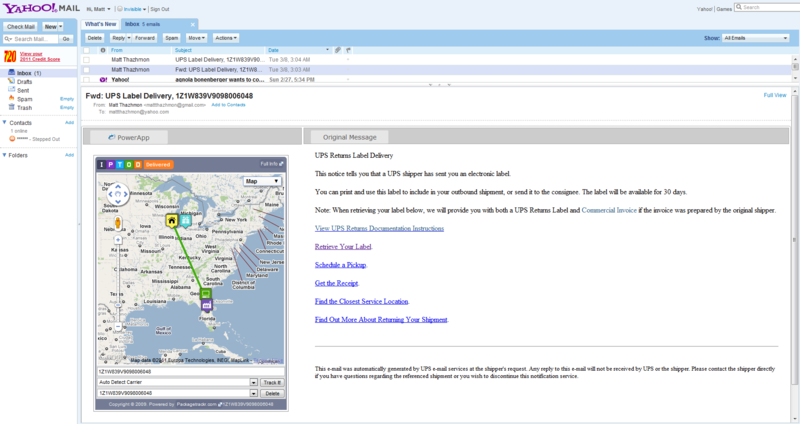 Want to get a visual representation of a package you’re tracking with UPS? Instead of clicking Gmail’s auto-link, you’ll have a map that shows you exactly where your package is. Someone added you on Twitter? You can see their latest tweets without having to leave your email. You can even reply to Facebook messages and play popular social games right within your email, keeping you more focused, even in your “off” time. More often than not, we’re seeing extensions that are only enabled for Google Chrome or Mozilla Firefox. 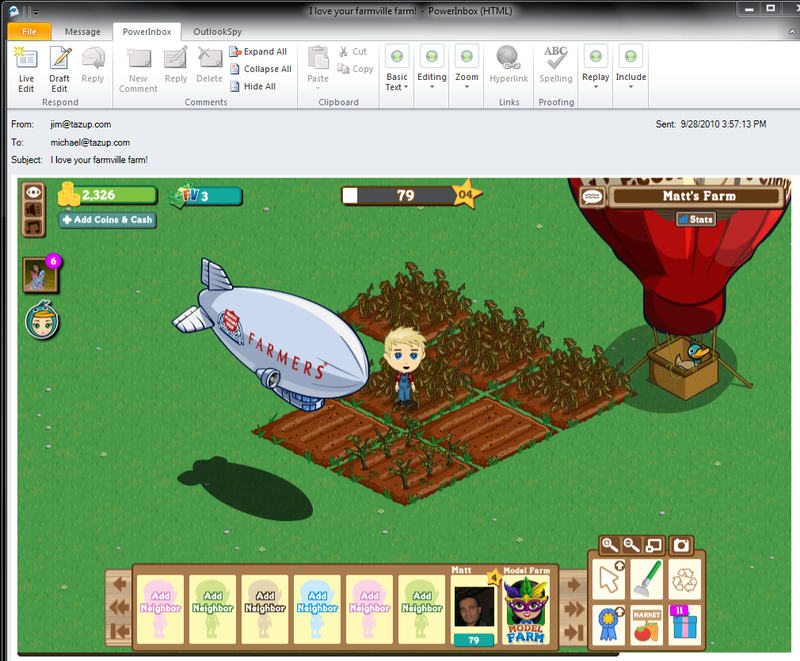 But with PowerInbox, the gamut has been run. 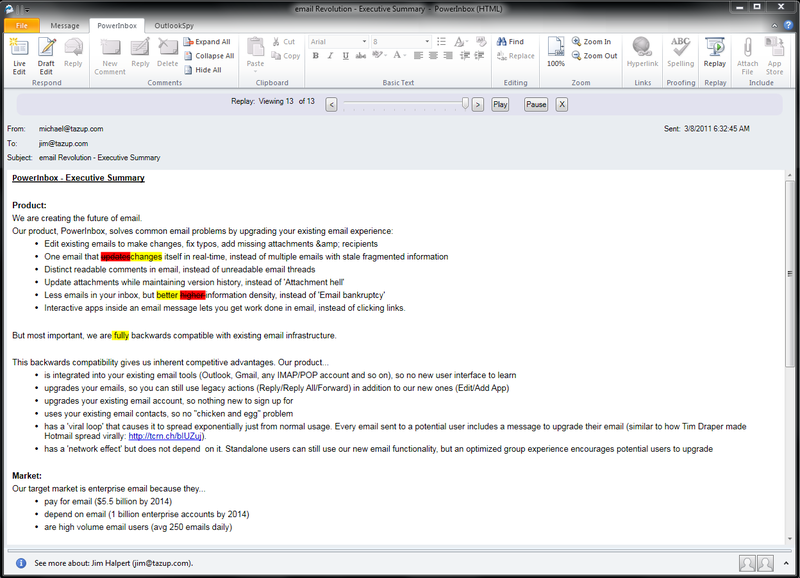 PowerInbox runs on Chrome, Firefox and even Internet Explorer, but it also is available for Microsoft Outlook 2007 and 2010 (though only on Windows, as Thazhmon explains that the add-ons are not supported in the Mac version). 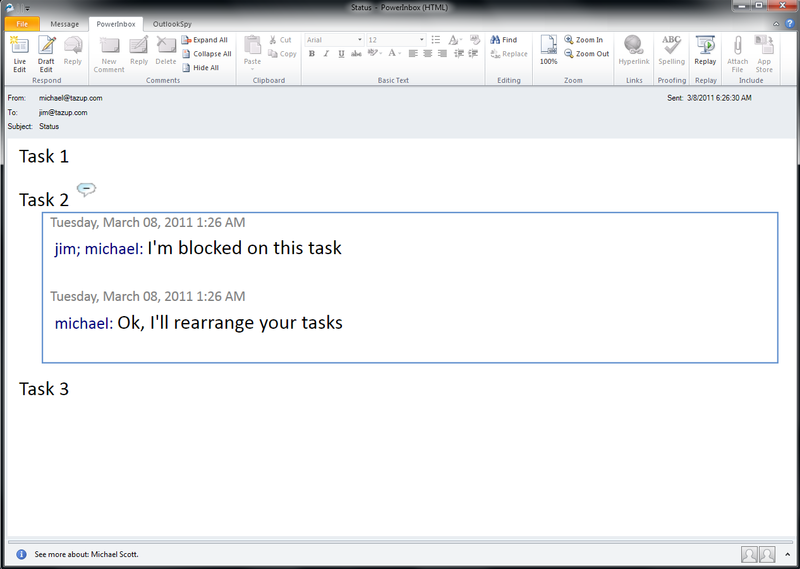 What’s probably most interesting to me about PowerInbox is the function that it holds to do real comments in email. Responding inline to an email has always been clunky, at best. True commenting features hold the ability to make your conversations much more engaging and easier to understand. As time moves on, the PowerInbox team is hoping to sway more developers into creating applications that can be used on the platform. For now, there’s a healthy choice that makes it well worth using. Of course, I’m excited to see what the outside influence of developers can bring. While PowerInbox is still in alpha at the moment, it’s surprisingly polished and functional. Is it essential? It very well could be, as things move forward. If you want in on the goodness, you’ll need to head to the PowerInbox site, select the method of your choice and then drop your email in to get your invitation. Read next: Facebook Introduces Real Time Analytics for Social Plugins.